The latest 13F reporting period has come and gone, and Insider Monkey is again at the forefront when it comes to making use of this gold mine of data. We have processed the filings of the more than 700 world-class investment firms that we track and now have access to the collective wisdom contained in these filings, which are based on their September 30 holdings, data that is available nowhere else. Should you consider Mastercard Inc (NYSE:MA) for your portfolio? We’ll look to this invaluable collective wisdom for the answer. Mastercard Inc (NYSE:MA) was in 95 hedge funds’ portfolios at the end of the third quarter of 2018. MA investors should be aware of an increase in support from the world’s most elite money managers in recent months. 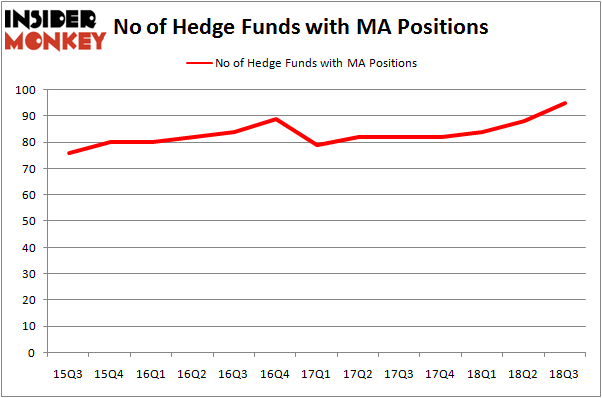 There were 88 hedge funds in our database with MA positions at the end of the previous quarter. Mastercard was the 13th most popular stock among hedge funds at the end of September (see the list of 30 most popular stocks among ALL hedge funds). Let’s review the key hedge fund action regarding Mastercard Inc (NYSE:MA). How have hedgies been trading Mastercard Inc (NYSE:MA)? At Q3’s end, a total of 95 of the hedge funds tracked by Insider Monkey were bullish on this stock, a change of 8% from the second quarter of 2018. On the other hand, there were a total of 82 hedge funds with a bullish position in MA at the beginning of this year. With hedge funds’ sentiment swirling, there exists an “upper tier” of key hedge fund managers who were adding to their stakes significantly (or already accumulated large positions). More specifically, Gardner Russo & Gardner was the largest shareholder of Mastercard Inc (NYSE:MA), with a stake worth $1859.1 million reported as of the end of September. Trailing Gardner Russo & Gardner was Akre Capital Management, which amassed a stake valued at $1185.9 million. 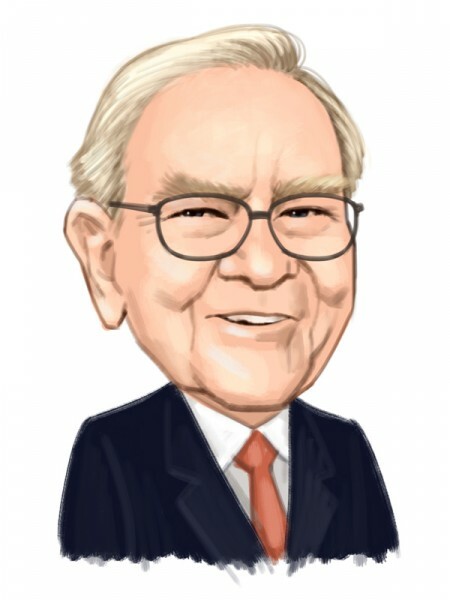 Berkshire Hathaway, Arrowstreet Capital, and OZ Management were also very fond of the stock, giving the stock large weights in their portfolios. As industrywide interest jumped, key hedge funds have been driving this bullishness. Point State Capital, managed by Zach Schreiber, assembled the most outsized position in Mastercard Inc (NYSE:MA). Point State Capital had $120.9 million invested in the company at the end of the quarter. Sander Gerber’s Hudson Bay Capital Management also initiated a $14.5 million position during the quarter. The following funds were also among the new MA investors: Brad Dunkley and Blair Levinsky’s Waratah Capital Advisors, Stanley Druckenmiller’s Duquesne Capital, and Ian Simm’s Impax Asset Management. Let’s go over hedge fund activity in other stocks similar to Mastercard Inc (NYSE:MA). We will take a look at AT&T Inc. (NYSE:T), The Home Depot, Inc. (NYSE:HD), Chevron Corporation (NYSE:CVX), and Taiwan Semiconductor Mfg. Co. Ltd. (NYSE:TSM). This group of stocks’ market values match MA’s market value. As you can see these stocks had an average of 56.25 hedge funds with bullish positions and the average amount invested in these stocks was $4159 million. That figure was $10069 million in MA’s case. AT&T Inc. (NYSE:T) is the most popular stock in this table. On the other hand Taiwan Semiconductor Mfg. Co. Ltd. (NYSE:TSM) is the least popular one with only 42 bullish hedge fund positions. Compared to these stocks Mastercard Inc (NYSE:MA) is more popular among hedge funds. Considering that hedge funds are fond of this stock in relation to its market cap peers, it may be a good idea to analyze it in detail and potentially include it in your portfolio.